Use a revocable trust to transfer your assets to specific beneficiaries. When the maker of a revocable trust, also known as the grantor or settlor, dies, the assets become property of the trust. If the grantor acted as trustee while he was alive, the named co-trustee or successor trustee will take over upon the grantor’s death. If you're named co-trustee or successor trustee, you're responsible for gathering and accounting for the grantor’s assets and distributing them to the beneficiaries named in the trust. 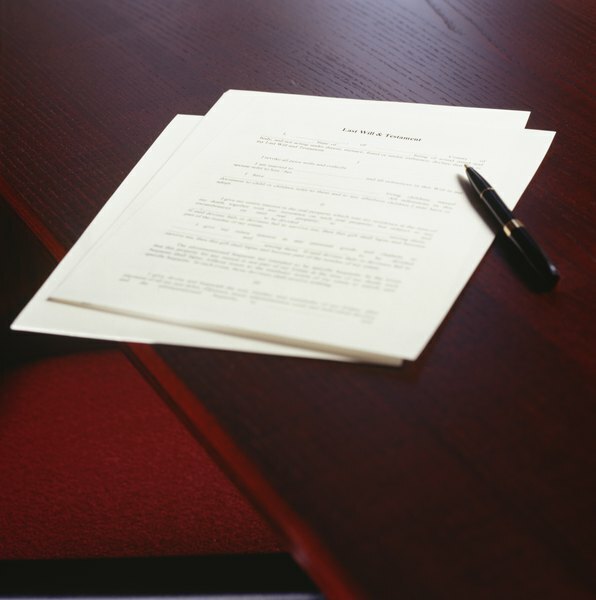 Obtain the original revocable trust documents along with any amendments or trust restatements. Read the trust documents to understand the trust terms and find the names of any beneficiaries. Locate the grantor’s brokerage statements, bank statements and insurance policies. You'll need the date-of-death value for each bank account and insurance policy. Contact the grantor’s broker and request a printout of the securities the grantor placed into the trust along their date of death values. Go online and obtain a tax identification number from the Internal Revenue Service for the trust. Open a bank account in the name of the trust. Close out any bank accounts the grantor established for the trust and put the proceeds into the new trust bank account. Cash in any life insurance policies that name the trust as beneficiary and put the proceeds into the trust bank account. If the grantor owned securities not specifically given to a beneficiary, have the grantor’s broker sell the securities as soon as possible. When you receive the proceeds check, deposit it into the trust’s bank account. Check if any real estate the grantor owned was given to a specific beneficiary. Either draft or have an attorney draft a Trustee’s Deed transferring ownership of the real estate out of the trust to the beneficiary. After it is signed, you and the beneficiary must go to the clerk of the court to have the deed recorded in the public records. If the real estate is not left to a named beneficiary, contact a local real estate agent and have the real estate sold. Be sure the real estate is sold at the fair market value. Place the sale proceeds in the trust bank account. Distribute the assets after they have been liquidated according to the terms of the trust. For example, if the trust bank account has $600,000 and the amount is equally divided among three beneficiaries, each beneficiary should receive one-third of the assets, which would be $200,000. Of course, the trust may not apportion equal amounts to beneficiaries, as it all depends on the grantor's intentions. Be sure each beneficiary signs a receipt acknowledging she received the full amount to which she was entitled. When you close out the grantor’s accounts, be sure any checks are made payable to the trustee in the name of the trust, for example, “John H. Doe, Trustee of the Jane A. Doe Revocable Trust Dated Jan. 1, 20XX”. You will have to file a trust income tax return, so keep careful records of the value and disposition of each asset owned by the trust. While a revocable trust avoids probate, it does not avoid estate taxes, so if estate taxes are due and an estate tax return is also necessary. You will have to file a trust income tax return, so keep careful records of the value and disposition of each asset owned by the trust.